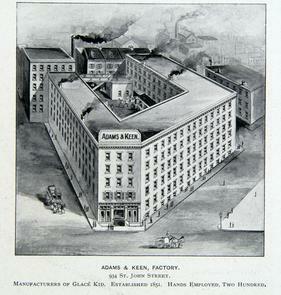 Caption: "Adams & Keen, Factory. 934 St. John Street. Manufacturers of Glace Kid. Established 1851, Hands Employed, Two Hundred."